pulp'arts | Kilimandjaro, The Album! "ERIC THOMAS AND FRIENDS" is a percussion trio formed in the early 90s in Champagne-Ardenne by Eric Thomas -notorious drummer and percussionist- whose goal is to make discover different types of percussions: African, Cuban and Brazilian. The other original members are Richard Gouerre and Lahcen Bouhamoud. The trio was quickly recruited for all kinds of events and was successful, especially during its performance on a big stage in Frankfurt in March 1992. The band was actively on tour throughout France until early 1994. In early 1996, the trio was reconstituted with new percussionists: Eric Durand and Cedric Augiron. 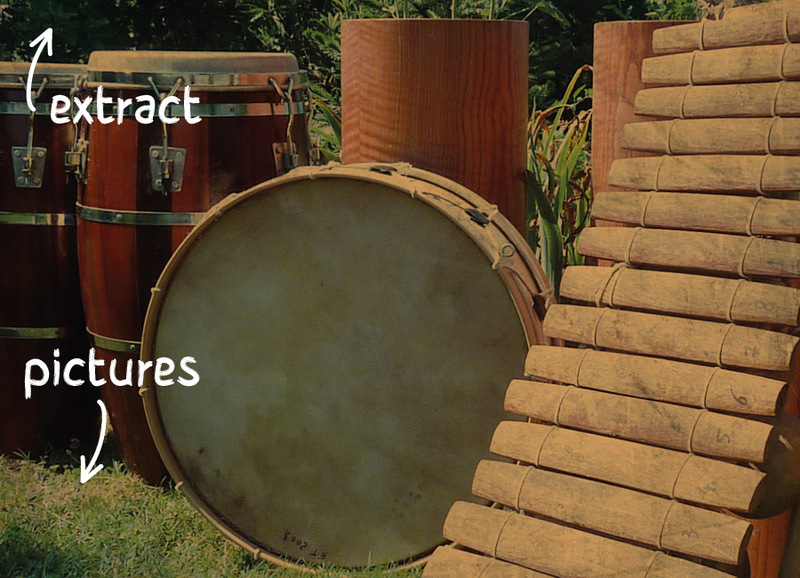 The emphasis was on rearranged traditional rhythms. The virtuosity of Cedric Augiron -djembe- constituted an essential contribution to revitalize the trio, which appeared in many clubs in the south of France, in this period of "golden age of percussion". The trio was also involved in the filming of the educational video "Afro-American Rhythms 2". In 2001, Eric Thomas collaborated with the musician composer Vincent Garaialde from Toulouse and participated with the percussionist Thierry Klein to the CD recording "Dance Music Rhythms for Drummers and Percussionists", distributed in Europe. In 2007, Eric Thomas celebrated 20 years of career and recorded an autobiographical CD, "The Drums of the South", focusing on Afro-Latin rhythms and improvisation, with Vincent Garaialde and Gérald Mora. During 2008, Eric Thomas came back fully in percussion courses in the south of France and met again Pierre Garcia, one of his former students, then advanced percussionist. 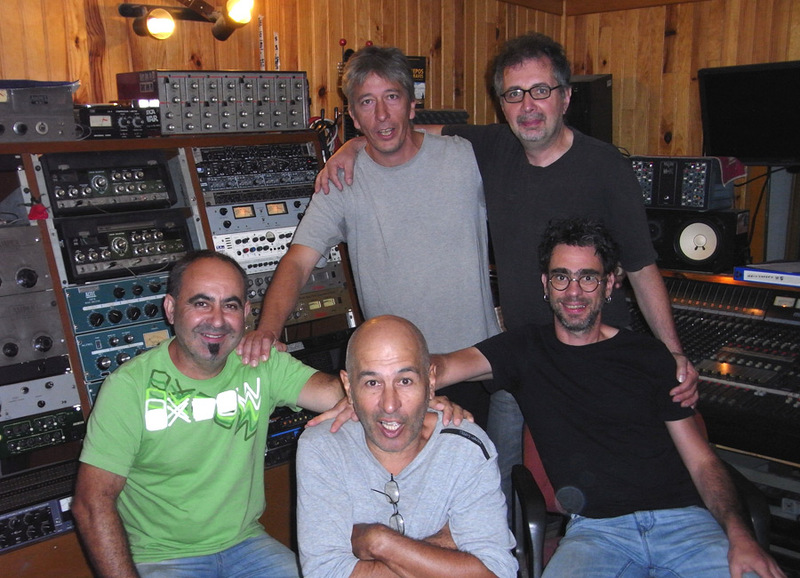 In 2011, through the singer Alain Bardou, he met the theater director Jean Michel Hernandez who organized a percussive scene on May 15 of that year, during which Roman Delaporte joined the duo Thomas-Garcia for a final jam that worked wonders! The idea came at this moment to revive the trio under a new formula. After two years of running, during which E.T & Friends performed in concerts in various regions -South, Burgundy, Champagne-Ardenne-, the trio decided in 2013 to record a new album. 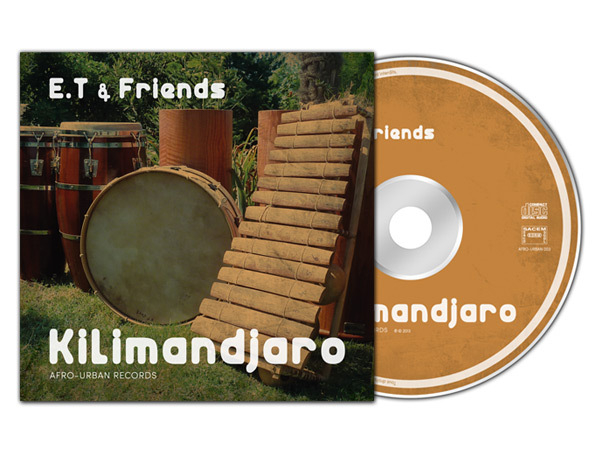 The band joined the studio in late August of that year to record the album "Kilimandjaro", the third of its kind for E.T & Friends. From left to right // Top: Romain Delaporte, Eric Thomas - Foreground: Pierre Garcia, Jean Michel Hernandez, "Triboulet"
The first 9 tracks, jointly developed by merging styles and influences of the three protagonists, perfectly reflect the "afro progressive percussion" genre. The 3 other tracks, composed exclusively by Eric Thomas, are mainly inspired by Black Africa, the latter having meanwhile played as a drummer in the Burgundian Perfola band, which is characterized by Afro-fusion style. Event, Music // post by Edwige Diot.